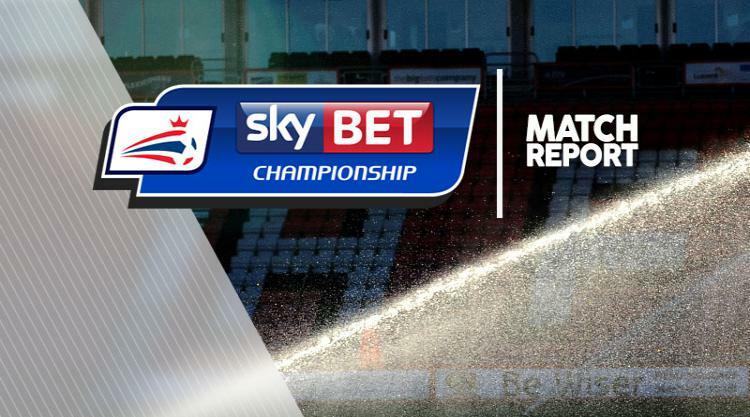 Blackburn scored a late equaliser to earn a 1-1 draw at fellow strugglers Rotherham. Jon Taylor's 47th-minute goal had looked like it was going to be the difference between the two sides before an own goal from Stephen Kelly in the last five minutes secured Rovers a point. The result did halt a losing run of four for Rotherham but they are still a mammoth 14 points away from safety. Blackburn hit the woodwork twice in the game before mustering the equaliser which leaves them in touch of Burton Albion outside of the relegation places. Rotherham full-back Kelly had the first strike on goal but it drifted harmlessly wide from 25 yards out. Danny Graham responded at the other end with a rasping drive from distance that was only inches away from hitting the target. The visitors came even closer to going in front through captain Jason Lowe who rattled the bar midway through the first half. After intercepting the ball out wide, Lowe cut inside and curled an effort from distance which keeper Richard O'Donnell touched onto the crossbar. Tom Adeyemi then failed to get a good connection on a Joe Newell cross which fell kindly to him but the midfielder steered it straight at Rovers keeper Jason Steele. Blackburn's Sam Gallagher then blew a chance from just yards out, unchallenged from a corner, he sliced the ball high into the stands with the goal gaping. Rotherham caught Blackburn out by going ahead just two minutes into the second half. Newell's left wing cross eventually fell to Taylor who kept his composure on the angle and drilled it past Steele. Blackburn responded in the right manner but O'Donnell came to Rotherham's rescue again just moments after the goal. Craig Conway's corner was met powerfully by Charlie Mulgrew but O'Donnell diverted it against the bar with an acrobatic save. Rotherham quickly regained the ascendancy and pushed for a second with Newell having a shot blocked and then Danny Ward blasted over from distance. Newell then drove a volley just wide of goal and Ward's effort was deflected just wide of the far post. Gallagher snatched at a chance for Blackburn, driving hopelessly wide of goal when in a good position. Blackburn manager Owen Coyle brought on Marvin Emnes in search of an equaliser. The Dutchman was swiftly involved and played a part in the build-up that resulted in Elliott Bennett forcing a diving save from O'Donnell. Emnes then tested O'Donnell after wriggling free of challenges in the box and shooting on the angle. The visitors got what could prove to be a valuable point on 85 minutes when Kelly turned in from Connor Mahoney's corner after being pressured by Derrick Williams. Mahoney almost created Blackburn a late winner but Emnes headed his cross just wide.